What do you want to be when you grow up? This question must have repeatedly come in our life from different people and this question often generates different answers almost every time. In our childhood as we get exposed to any profession, we confirm and commit to that career. For example: when we get cured without much hassle we wish to become a doctor; when we get compliment for helping a friend in study and managing well in class we wish to become like our favorite teacher; and same goes for a movie star, farmer, race car driver, pilot, or even any cartoon character we like. But only a few of these remain consistent with the original career aspiration, most of us change our answer to the given question many times over. The most common example for this comes with the mother who holds a career aspiration for her children when they are toddler. In her lullabies she expresses her desire. Father definitely chooses the child which would match to his status and desires. Friends always wish to choose the same career together as if the whole group would be pursuing the same career and staying together for eternity! Teachers would suggest their curriculum preference career. An expert would be more objective and suggest you careers on the basis of your strength in aptitude and personality, your present status, and your interest and market reality. However, with all these overwhelming suggestion we make a decision and stick to it as we believe that we have made that decision "for real," and one thinks that one would stay true to this decision for the whole life. Maybe that idea was true once; however, with the introduction of digital world and ever changing economic situation career decision-making is more a process than an outcome. Our situations change, our aspiration changes and each of us will evaluate career choices many times over. We will revise and change career plans and directions as well as change jobs. Career decision-making may be the most promising and practical skill one needs to develop in this ever-changing world of work. But at any point-of-time have you pondered who needs to be committed and takes the journey ahead? It is you! You need to choose your interest based on the information you gather, your liking and disliking, your hobbies and skills, not looking at the people who are successful or not successful in their career(s). If you think somebody is successful in the career you are interested in ask the person how they have reached this position or success. Authenticate your interest. Our interests change, the job market changes, some careers and jobs become obsolete and many interesting fields open up. After working a while many people realize they do not wish to stay in the career so make a change to fit their life style and wants. In all these confusion what is constant is your strength in aptitude(s). Thus, it is imperative to assess your strength taking the standardized aptitude test and personality assessment. Understand your strength thoroughly and match it to your career interest, if interest is not matching to your strength then ask the expert to show you all opportunities based on your strengths as you know interest changes. Choose the correct educational path. Choose the college where you can avail the maximum facility to develop your skills and learn the subjects or course in totality. 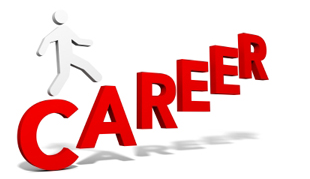 Network with the people in your chosen career field and choose the job at right time. While choosing the organization for your dream job, check your values and organizational values matches or not, commit yourself for 2 to 3 years for learning several skills and attitude. When in doubt get back to your assessment report and take the decision again. Who is doing all these....it is you...Thus taking dream job and becoming successful is your responsibility. All the best!